India & You is a bi-monthly magazine that aims at promoting Indian business, tourism, arts, music, cinema, and culture. 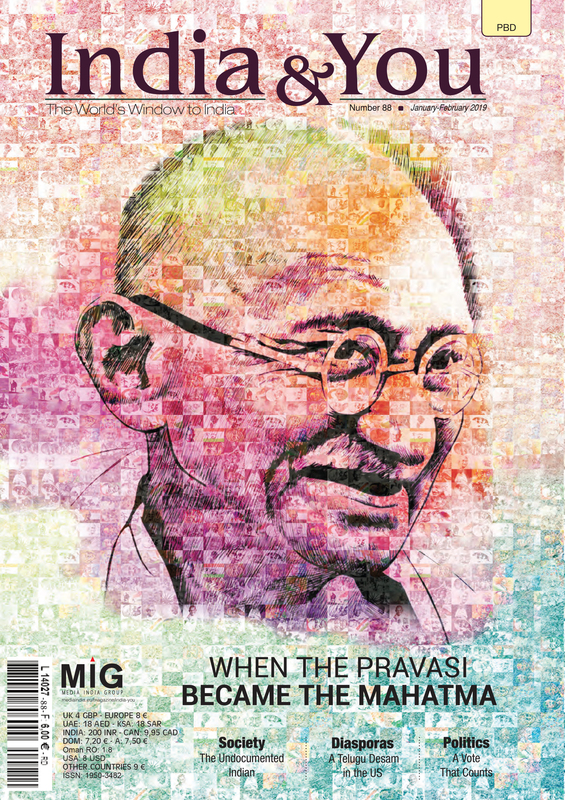 The magazine comes every year with the special issues of Pravasi Bharatiya Divas focused on Indian diaspora, ITB Berlin and WTM London (tourism fairs) and Cannes Film Festival (cinema). For centuries the Ganga has always had a special appeal for most Indian, especially the diaspora members. It is thus providential that the Pravasi Bhartaiya Diwas (PBD) 2019 is taking place in the holy city of Varanasi, providing a unique opportunity for the thousand of diaspora members who have turned up at the three day event that started from January 21. The young members of the diaspora are rediscovering their India connection, through activities like quiz contests on India and Mahatma Gandhi, who is considered to be the inspiration for PBD, often called the original pravasi (diaspora member). A Telugu Desam in the US What if the Mahatma had visited the Reunion Island? A few months before the general elections, the report card of the Modi government reads rather well, even if there is need for the government and Modi to do some retuning and adjustments.